This is very cool! Do You J-KU? 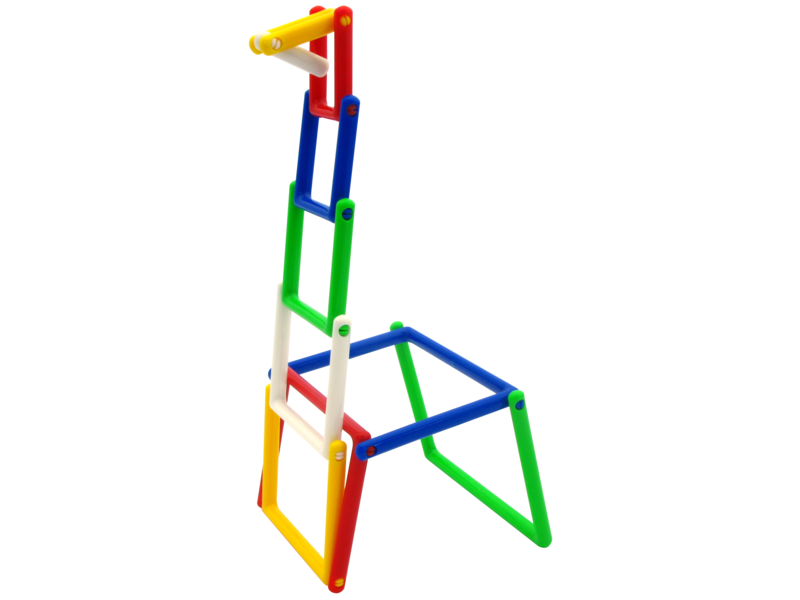 A game, puzzle and building toy in one! 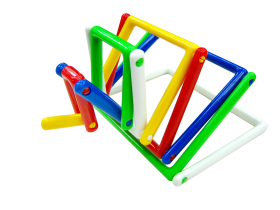 Challenge your friends to create many different objects with this innovative invention. Build a giraffe or house in 60 seconds! Also makes a great travel toy. The more you have, the more you can create. •If you have more J-KU units, you can have multiple players building at the same time. •Having more J-KU units will allow you to build more complex objects. •For smaller children, have them build the alphabet or numbers (requires Two J-KU units). The very first time, each player gets 2 minutes to explore the J-KU on their own. Do not allow the players to see the objects they need to build. There is 1 non-playing judge per round. The judge selects and announces what the building challenge is for the players. Build objects for 1 J-KU: House, Cube, Giraffe, Snake, Swan, Dog. Each player gets only 1 minute build the challenge object. The player must shout “J-KU” when they finish the building challenge. The result is verified by the judge against the objects picture. If success is achieved on the first attempt the player gets 5 points. If they are not successful, they wait their turn to build again. If they are successful on their next turn, they earn 4 points, and so on. This continues until all players have success or cannot earn any points. Tip! Increase the difficulty on each challenge by reducing the amount of time by 10 seconds. You can stop here or continue to the second challenge. A new judge is appointed for the next round. Each player gets up to 2 minutes to think of a charade and build their object. The player then acts out their idea within 2 minutes. When you think you know what the answer shout out “J-KU”. No talking. All players write down their answers within 30 seconds. The person who J-KU’d can win 10 points if they a right, or minus 10 if they are wrong. All other right answers earn 5 points, but none if they are wrong. Each player gets 5 point if they are successful with their first guess, or minus 5 point if they are wrong. Because J-KU is open ended, you can create your own games and scoring rules!